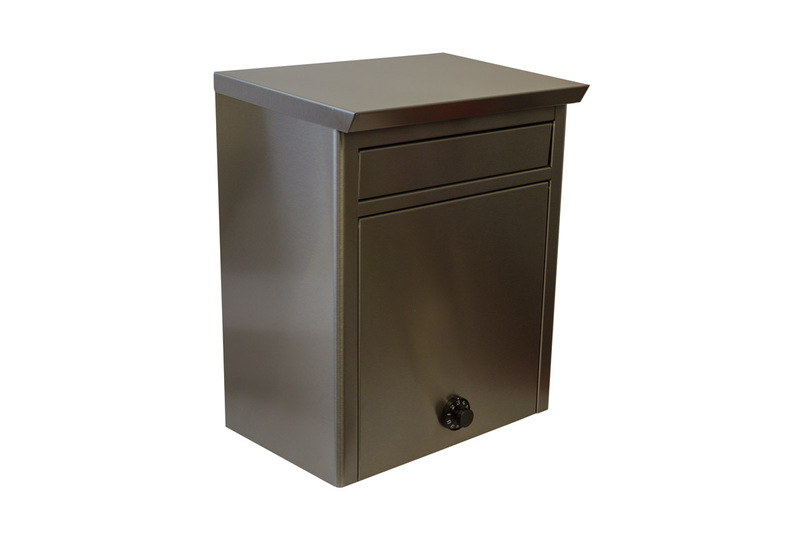 Winfield Kalos stainless steel wall mounted locking mailbox. Attractive way to keep your mail deliveries safe. Combination lock offers security while allowing access to multiple users without the need for keys.